(English) Hello! 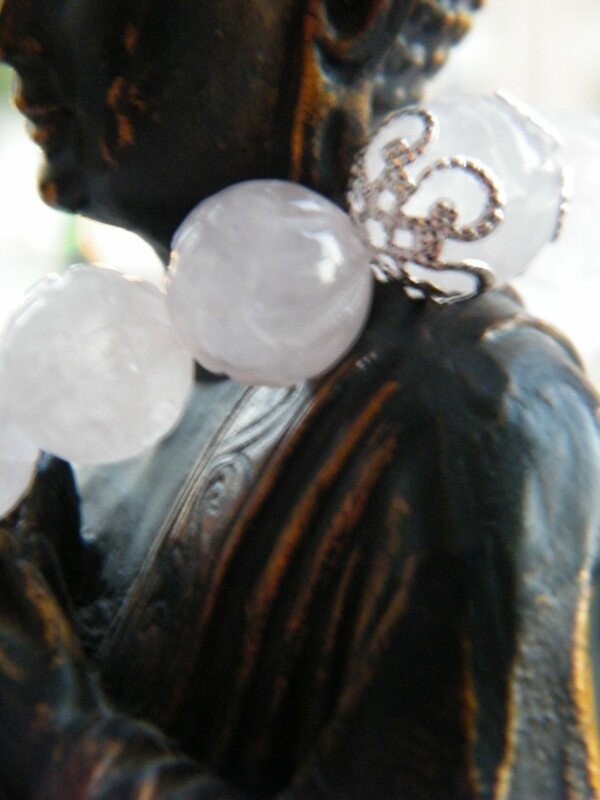 These carved rose quartz beads can not be procured again. 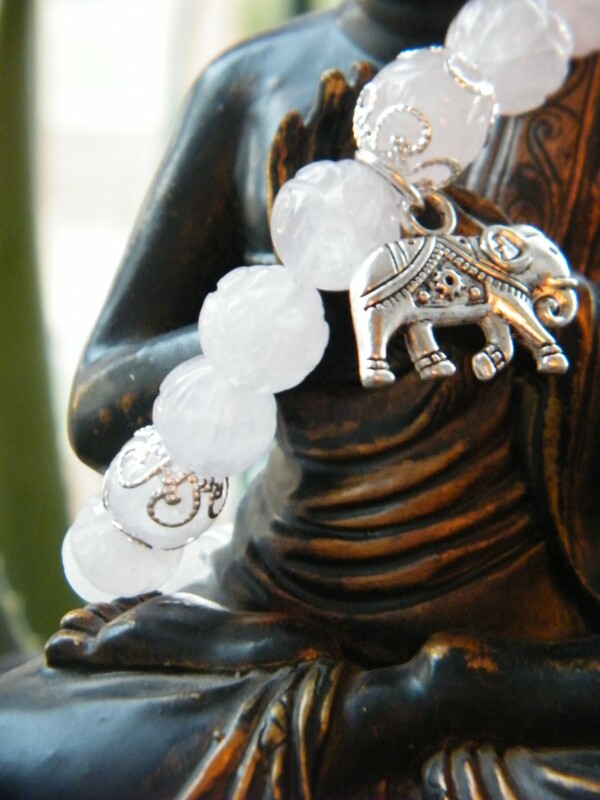 However, I’m offering the same bracelet, but with plain rose quartz. I’ll change the photos soon. 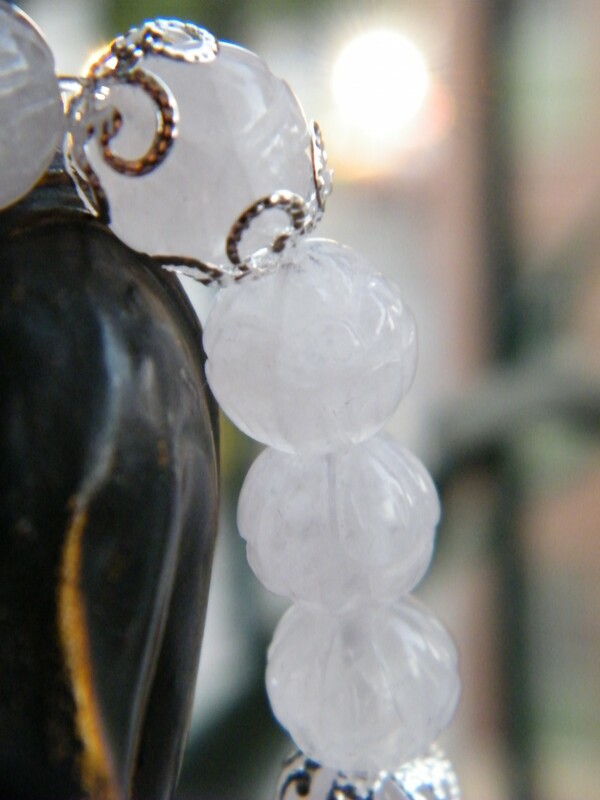 Rose quartz is named the loved stone. 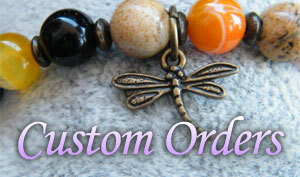 Give it as a token of your love, or wear it to help stimulate love and let go of hurts. 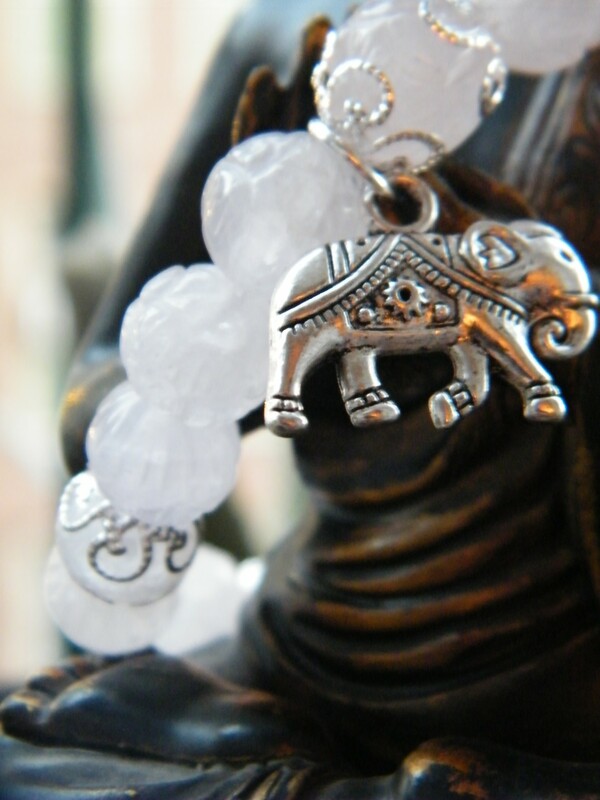 Patheya Jewels have added the one and only Mother elephant charm to remind us that the wisdom to the heart is mighty. 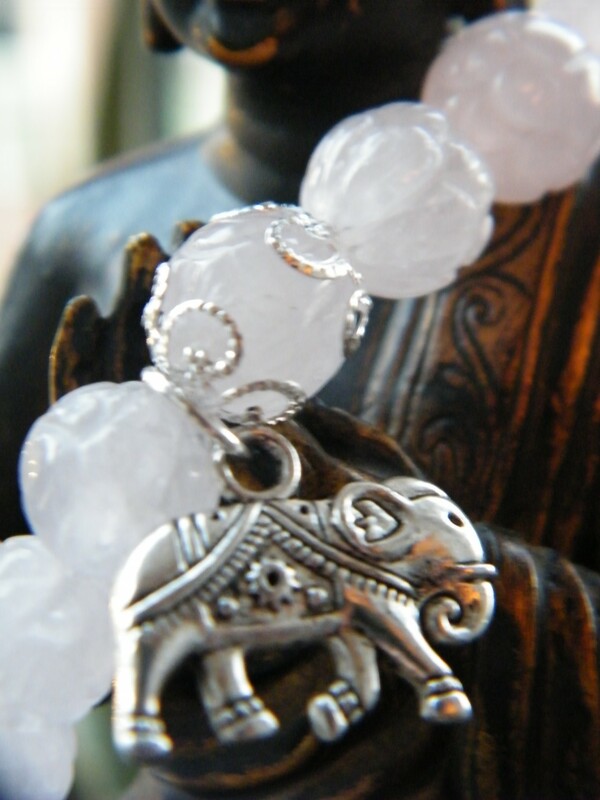 For more information about Rose Quartz, see Crystal Vaults.